So much for the “World Cup Bounce” that Major League Soccer must have been hoping for in the form of higher TV ratings after the most watched World Cup tournament in the history of the United States concluded in July. The TV ratings for MLS games on ESPN2 are in, and it’s more of a “World Cup Splat.” Regular season ratings for MLS on ESPN2 dropped 12% compared to last season. According to Sports Business Daily, ESPN2 averaged 249,000 viewers for 25 MLS telecasts during the 2010 season, down 12% from last year (284,000, 24 telecasts), and down 2% from 2008 (253,000, 25 telecasts). To put the numbers in perspective, ESPN2 averaged 258,000 viewers for WNBA regular season games this year, and Versus averaged 366,000 viewers for IndyCar racing. According to Sports Business Daily, the top match of the season on ESPN2 was Sounders/Galaxy on July 4 (391,000) — meaning that not a single MLS telecast on ESPN2 this season drew over 400,000 viewers. To put that in perspective, four telecasts topped 400,000 viewers last season. How does the 391,000 number compare to the English Premier League matches shown on ESPN2 this season? For a 4:30am PT/7:30am ET Saturday game shown on September 25 between Manchester City and Chelsea, the viewing audience was 428,000. And earlier this year, in April 2010, the viewing audience for Manchester United against Chelsea on ESPN2 was 526,000. While viewing numbers for MLS on ESPN2 took a significant tumble, TV ratings for MLS games on Fox Soccer Channel remained flat. Fox Soccer Channel, whose MLS telecasts aired primarily on Saturday nights, saw its slate of 31 matches average 53,000 viewers this season, flat with last season. Fox’s Galaxy-Red Bulls match on August 14, which marked the first game for Red Bulls MF Rafael Marquez, was FSC’s most-viewed game telecast this season with 144,000 viewers. To put that into context, Fox Soccer Channel’s viewing audience for the 2010-11 opening weekend game between Liverpool and Arsenal was 291,000 viewers (an 8am PT/11am ET broadcast on a Sunday). Critics will argue that ESPN2 and Fox Soccer Channel didn’t promote the MLS games or that a network such as Versus would be able to do a better job. But the reality is that Major League Soccer has been a disaster on television this season. When viewers can choose to watch games from most major soccer leagues around the world, MLS will almost always lose because it can’t compete on that level. Where Major League Soccer works best is on the local level providing quality entertainment at an affordable price for soccer fans who are fortunate to live near a MLS club. But for the vast majority of soccer fans nationwide, MLS is practically “invisible” on television even within its own country. Meanwhile, let’s hope the TV ratings for the 2010 MLS Playoffs are improved. There are definitely some enticing games on offer, but will fans turn up and watch the games on television? We’ll have to wait and see. I used to think the Euro numbers mattered, I don’t believe that anymore. I really think you reach a cap on the Euro numbers very quickly, if not already. Dissappointing ? Yes and sort of. It would be very dissappointing if one MLS was NOT growing, but it is. Vancouver has already sold 15k season tickets, you have to believe they will be the second highest draw in MLS next year…depending on how small they are making BC Place. I am sure Portland will do fine too. Two, like you said, this is more local. The Mariners had the second highest TV viewership at the beginning of this decade at the local level. I guarentee you they would not have a national draw. Probably make the WNBA numbers look huge. Three, MLS is putting out a pretty good product in my mind. Are there some weakness on teams, yes, see the NY SJ game yesterday for some mistakes you would like to see gone. But man, there is some great play out there and very exciting. Let’s say MLS stays right where it is at ( I, nor do anyone else worth listening to believes that ), as long as it stays afloat, I am loving it. Charles, the Euro numbers have been increasing season over season, and continue to increase. The TV viewing numbers for the Premier League have taken a big jump in the US after the World Cup. They’re not plateauing anytime soon. MLS is doing well on the local level in the cities they’re in, but they need to concede defeat in the battle to win the TV ratings war. MLS is NOT competing with EPL. EPL cannot win that war. They are competing to convert the multi-sports fan in the US to include soccer in their interests….like Seattle has. When I went to get my playoff tickets, there was some guy dressed head to toe in Seahawks gear, he steps up and buys…..Sounder’s tickets. Many of them in the expensive section….and he was jazzed. That doesn’t happen elsewhere. It should. I don’t know why they should “concede defeat,” rather than continue working and finding ways to get into the national consciousness. There are MLS fans out there to be had. I’m one of them. I’m an American who’s been a soccer fan for three decades, but who got enchanted by MLS only a couple of years ago. And now I’m hooked. I’m also exactly the sort of person MLS needs to thrive at that level: I’m not in an MLS city, I’m an 18-45 male, and I’m a big sports fan in general. To truly break through, MLS needs more of the me’s. And even putting that aside: There is still progress to be made within MLS cities themselves. The national telecasts need to become destination viewing for all MLS fans. You want a viewer in San Jose to be eagerly tuning in to a Thursday night ESPN game between New York and Columbus. MLS has to find a way to transcend the provincialism that currently dominates fans’ approach to the league. These games will have to feel important simply because they’re MLS games. That’s a big barrier MLS needs to break through, and it’s as much about media profile and big storylines as anything else. This One Guy In Detroit, I support MLS and hope that the league continues to thrive, but I’m not going to give it the kid’s glove treatment like so many other US bloggers and media representatives do. I wrote about my positive experience at a Chicago Fire game recently which was posted on this site, and I run MLS Talk which provides MLS news and honest analysis to support and promote the league. MLS needs to earn respect and praise for doing things the right way. As far as the TV ratings race go, they’re failing. You continue to report select Premier League audience delivery. On average, the Premier League numbers on television have been remarkably poor, and so have the Champions League numbers. 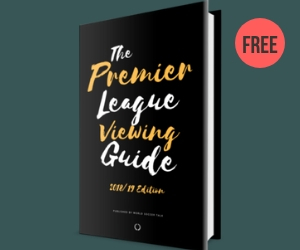 Fox Soccer Channel (driven by Premier League programming across the schedule and Champions League matches) finished the October book with a 0.02 rating in Total Day and 0.02 rating in Prime Time. That’s 21,000 households, and ranks dead last among measured networks. I can tell you with absolute certainty that all the major distributors would drop Fox Soccer Channel tomorrow if it wasn’t for illegal channel bundling by Fox Cable Networks. As for ESPN 2, the Premier League matches deliver on average 300,000 less viewers than the nature programming in the timeslot when games aren’t aired. The club game isn’t popular in this country – PERIOD. It doesn’t help that tonight’s LA/Seattle game is going head to head with Sunday night football Pittsburgh v New Orleans. But that is just another excuse. I think the problem is the quality of play. Specifically of Americans. When MLS has a lot of Americans who are good enough to get attention from big leagues, then I think the league can take the next step. There are a few players like that now but only a small scattering of them. If the common MLS American player was good enough to garner interest from teams in big european leagues rather than the elite MLS American, the quality of play in this league would be good enough to warrant ESPN, Versus, etc. spending money and time pumping the league. And it would produce more viewers. What do you think of the youngsters in this league ? There are a lot of them and they are some of the cream of the playoff teams. Ream, Zakuani, Gonzalas, etc. I am barely touching on some of the great talent coming out. How far away are they in your opinion ? There are some great youngsters in the league. But I don’t think there is enough quality talent to give clubs a reasonable chance to have the quality of play so many American sports fans seem to desire to really get into MLS. Don’t get me wrong, I love MLS. It is my “main” soccer league. I don’t care to watch premiership or any other league. I’m trying to figure out reasonable explanations why MLS has not gone up in ratings. Could the availability of ESPN3 have anything to do with the downturn in ratings? Having all those games archived online makes it easy to watch them later rather than live. I watch all my football online, but that’s also because I don’t have cable. ESPN3 and Match Day Live have been godsends. I wish that Fox Soccer Channel’s online video player wasn’t such a piece of crap (not to mention their TERRIBLE customer service), or I’d have even more games to watch! Logan, I don’t ESPN3.com makes that much of a difference. Some Premier League games are on ESPN3.com, some are on FoxSoccer.tv, but ratings for the EPL on both ESPN2 and Fox Soccer Channel are up, not down. Marketing, MLS doesnt do enough marketing themselves or the players in the league to reach anyting in Mainstream sportts or even pop culture. Not trying to pooh on FSC but it doesnt help that you on a third tier or fourth tier cable package. MLS needs a VS or a TNT or TBS?? basically a tv deal with more viewership and availability. It also doesnt help de- americanizing the league, and catering to eurosnobs who watch the EPLs and watevers and expect MLS to be or look like the same thing as they watch. It is true that MLS doesn’t do enough to market its product. I mean, I live in Chicago, and whenever Chicago teams are mentioned or listed in the media or even by ticket sellers, the Fire are never mentioned. MLS and the Fire haven’t even done enough to make Chicago think of the Fire as one of their pro teams. There just aren’t that many people who care about soccer. We watched the World Cup because it’s an event like the Olympics. The hope for a World Cup bounce was wishful thinking. That said, MLS has done a good job carving out a certain niche in American sports. It does best among upscale cosmopolitan urbanites (Seattle, Toronto, etc), but that’s a distinct minority of the country and not one that commands a large, nationwide TV audience. It has growing interest among upscale suburbanites, but little penetration in the outer suburbs and rural America. But that’s ok. As long as salaries don’t get crazy, MLS has a sustainable, and growing, niche. Slow and steady growth should be the rule. That’s overly simplistic – if it was true, then how come the EPL viewing figures have gone up? If you mean there aren’t that many people who care about MLS soccer, it still doesn’t fully explain why the viewing figures went down, rather than remained the same. Do less people care this year than last year? MLS is a fun league to watch and drink a tall can but the overall play is terrible. Until MLS takes the training wheels off and gives soccer fans what we really want the numbers should uptick. 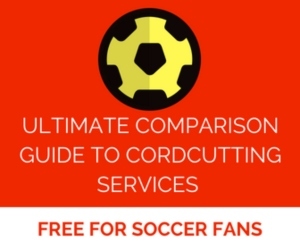 Playoffs, All-Star Game, Conferences, MLS Cup are all items designed to convert other sport fans into soccer fans. MLS is a fun league to watch and drink a tall can but the overall play is terrible. I don’t get stuff like this. I seriously don’t. The play in MLS isn’t remotely “terrible.” Is it at the level of La Liga or the EPL? Of course not. But what else is? Even international football isn’t at the level of those leagues. Sometimes I think people who say stuff like this aren’t even really football fans, because they can’t appreciate the sport unless it’s played by the handful of very elite leagues in the world. And that’s just strange to me. Football is the beautiful game. It takes something pretty atrocious to make it ugly and unwatchable, and MLS is well, well beyond that. Jeff, which numbers are incorrect? Don’t make up lies. State your sources. I wrote that I was surprised that I enjoyed my time at Toyota Park because (1) my expectations weren’t that high for a meaningless game, and (2) I hadn’t been to a MLS game in 9 years after my team Miami Fusion folded. As for suggesting I should criticize the fans not the league, I completely disagree with that. The soccer fans have the right to choose what league they want to watch. It’s a free country. If the fans aren’t watching MLS on television, it’s not the fans fault, it’s the league’s fault. “The author needs to find some thing pos i tive to write about the next time instead of re-hashing this tired theme.” — It’s only tired because the TV ratings continue to decline. If the numbers were improving, the article would be more positive and I would write about that. Gaffer, I did not say that the numbers were incorrect. If you re-read my sentence you will realize that. What I said was that the sad part of your article is not that the numbers are correct or incorrect, but that it sounds like you enjoy reporting their decline. I agree with you that fans should be ableto watch whatever they want. However, it is sad that so many people in this country love soccer and do not give the league a chance. If you really cared about the league as much as you say you do, you might point this out with a commentary. While I am not The Gaffer,I think I understand why so many soccer lovers in this country doesn’t want to give MLS a chance. We have never been listen to. We feel like MLS doesn’t want to give soccer chance. Single entity is the oposit to the universal values of the game. Jeff, when you said “And the sad thing about this article is not that the numbers are incorrect,” I thought you were saying that the numbers were incorrect. I don’t take any joy in the fact that MLS TV viewership is declining. Re-read the article. Where do I take joy? Gaffer, I can see why you were confused by my original statement and I apologize for the confusion. And yes it is true that you do come out and say that you are happy about the numbers. However, to me your “body language” with regard to the ratings subject seems to indicate that you take some satisfaction at this development. You have reported on this same subject on more than one occasion and these seem to be the only articles you write for the site. You appear regularly on EPL Talk and perhaps that takes up most of your time. I understand that. However, when you do find time to write an article for MLS Talk, it is usually about something negative. I obviously have no way of knowing what your feelings are, but when the vast majority of your articles are negative, your Chicago piece notwithstanding, what is the reader supposed to think? I am no MLS apologist but there are a lot of things going with the league that inspire confidence. Maybe touch on one positive thing from time to time. Jeff, I’d love to write more about MLS but alas, there is no MLS team in Florida where I live. It’s hard to get excited about the league when there is no local connection for me. I can guarantee you that you’d see far more positive pieces from me if we had a team to support down here. The funny thing about the guys that call MLS terrible, is they want pro/rel too. they cant watch MLS, but they will watch when their team gets demoted to the third league. Not sure why I have a hard time believing this. I dont know why is it so dificult for some “fans” to see what is wrong here!! We have people with no knowledge of this game and its culture,in TOTAL control of it.MLS looks more like NFL or MLB than any soccer league on the planet. One “entity” is the majority owner of EVERY “franchise” , and some of you guys expect this joke to have any kind of credibility? Some of you guys are surprised that many real soccer fans have a very hard time “giving MLS a chance”. if some of you want to keep going around and around and avoid at all costs the reaL issues, enjoy it the ride! Reality is club soccer is america will not go any where meaningfull untill we get rid of Gulatis,Garber and co; until we get rid of “single entity”; until we have independently run clubs insted of franchises on our REAL first division. SPOT ON! you nailed every point why US soccer and club soccer will continue to suffer. What we have are Franchises not Clubs! These franchises can leave a market at anytime without giving any consideration to its “fans”. Austin Aztecs moved from a semi-successful market and left for Orlando with hopes of gaining access to MLS. There’s no contradiction involved in believing both that the MLS is terrible AND being willing to watch your team play in a lower league. I really don’t know of a solution to viewership. Perhaps have more games on the Spanish stations. MLS definitively needs to stream the games on Roku, XBOX, and others. The MLS has to be applauded for how far they have come. Watching the Sounders-Galaxy game tonight really highlights the fact that the league appears to have built a base to grow from. Soccer in the US has always been a long term proposition. The gaffer is delusional if he thinks the EPL ratings won’t hit a ceiling below what the product deserves. That ceiling may be much higher than the current ratings but they do have a structural problem in that none of their teams are located on this continent. I suspect we will be talking about the MLS on the same level as the NHL in 10 years time. That may sound like damning with faint praise but it isn’t. It would be an incredible accomplishment. Skronk, I’m watching the same game too and MLS should definitely be applauded for creating such a success in local markets such as Seattle. I didn’t say that the EPL ratings will not hit a ceiling. They will, for sure, but they haven’t hit that ceiling yet. Even though none of the teams are located on this continent, they’re still able to generate higher ratings than teams that are in this country. That is correct, you did not say that as I now read back the initial comment. I guess my only point is that the comparison of EPL ratings vs. MLS ratings is not terribly relevant to the long term success of the series nor should it be put forward as some benchmark towards a good or bad job on the part of MLS. The only people watching soccer in the States at the moment are early adopters/anoraks. I prefer the EPL vastly to MLS. It is just better on every level. That can hardly be considered a failure on the part of the MLS. I think the quality players will come as the league grows. We’ve seen it already and it will only continue. It is not going to come overnite (THE standard theme with soccer in the US) but the money will slowly improve and the US is a great place for a rich person to live. Stars will come over in larger and larger numbers going forward. So what should be the takeaway on the crap TV numbers? I don’t know but I don’t think advertisers care about the difference between a 0.1 and 0.09. Skronk, I mentioned the EPL ratings to put the MLS viewer numbers into context. But even taking MLS viewing numbers by itself, they’re declining. “The only people watching soccer in the States at the moment are early adopters/anoraks”… I disagree. Ask the millions who watched the 2010 World Cup and how many of them continue to watch the sport. In some ways, you’re right. But unfortunately, I think this only really applies to LA and NYC (and maybe Miami). Once you get past those two cities, the rest of the US is probably no preferable to Europe. They keep on trying to sell us the growth of the league.In order to have a good reference we have to look at the Japanese League. relegation.Consadole Sapporo becomes the first club be to relegated. 2010 they have 5 divisions .more than 170 CLUBS on the first 4. on the fith ,wich is made out of regional leagues ,they dont even give a number of clubs, they just say many more. Now,look at japans size compared to ours! The young Indian league was introduced on 1996,on 1997 the added a second division and promotion and relegation.By 2006 a Third Division was added . 4th level: includes 44 regional leagues. Most regional leagues have 2 divisions and some regionals have more than 2. Each regional league has at least 12 clubs at top level. Winners of each regional enter the national stage which plays in 2 (northern & southern) or 4 (northern, southern, western & eastern) groups. Top-8 clubs qualify for finals. And they still have the face to tell us “look how far the league have come” We are actually falling behind! The sooner we get rid of The Gulatis and the Garbers the lesser the damage will be.get your heads out of the sand PLEASE! these countries are doing the right thing,they are creating soccer clubs structures,not just a league,while we are focuss on a league wich is an entity instead of a real league,and doesn’t even have real clubs. Sad news, but I’m curious as to how the Thursday night games did compared to last year. If you ask me, the Saturday night time slot is a killer. It’s a lot easier for me to roll out of bed and watch an EPL match with a cup of coffee than it is to convince a bartender to put MLS on the big screen 10 hours later. The early afternoon kick-off is king for this couch potato. C’mon Mr. Garber! TAKE MY MONEY!!! It’s just sad, nothing makes me madder than idiot soccer fans in the USA that refuse to watch MLS. You can’t expect the league to grow if you don’t give it a chance! And what is this crap about being lower level? Obviously the MLS is not as good as the Premiership but it really isn’t that bad, it can be very exciting to watch. Granted not as nice as a United match but still good and it will grow! When you that a few 2009 broadcasts that were inflated by baseball or college football going into the MLS broadcast window and adjust for the varying broadcast windows, ratings were basically flat again. They’ve been stagnant for a while, and that’s obviously not good. They continue to float in line more or less with other niche sports in the US. This has been the case for a while. However, MLS is the only niche league that is continuing to add new corporate sponsors, continues to build stadiums, etc. That’s infrastructure, and that’s improving. That’s a major thing to track regarding league health. The Premier League ratings are solid and have improved, but in the end they’re still drawing fewer than 500,000 viewers. That’s a nice number for a a Saturday morning, but that’s also not exactly going to get advertisers in droves. ESPN likes it because it’s relatively inexpensive live programming for an otherwise empty time slot, but it’s hard to see a European option being a serious long-time viable option without some sort of structure here. It will continue to be a niche option and never anything more. I think that once and for all we need to stop taking these ratings numbers seriously. Gaffer, I am not at all saying that your reporting is inaccurate, just that the numbes quoted are not based in reality. Those tracking these numbers have abosolutely no idea who is watching and how many. Another criticism of the measuring system itself is that it fails the most important criteria of a sample: it is not random in the statistical sense of the word. Only a small fraction of the population is selected and only those that actually accept are used as the sample size. There are only 25,000 total American households that participate in the Nielsen daily metered system. The number of U.S. television households as of 2009 is 114,500,000. As a result, the total number of Nielsen homes only amounts to 0.02183% of the total American television households, meaning that 99.97817% of American households have no input at all into what is actually being watched. Compounding matters is the fact that of the sample data that is collected, advertisers will not pay for time shifted (recorded for replay at a different time) programs rendering the ‘raw’ numbers useless. Another criticism of the Nielsen ratings system is its lack of a system for measuring television audiences in environments outside the home, such as college dormitories, transport terminals, bars, and other public places where television is frequently viewed, often by large numbers of people in a common setting. Thanks for posting this. I never quite understood how ratings were taken, and I sure as hell have never been asked what I watch. It must be especially difficult to get ratings on sporting events when a large percentage of the sports-viewing audience goes to bars to watch games. But this system seems flawed at its core. Not that I think this negates the fact that there is, still, only a fairly small audience for the MLS, but perhaps using these numbers to prove anything is somewhat meaningless. Unless, of course, the point is that advertisers use these numbers, and if they do, they could pull out, leaving MLS with less money and TV options. Jeff, that’s ridiculous. Yes, the ratings systems aren’t scientifically correct, but the system in place is the same barometer that all TV programs that are rated are based on. Rather than hide the head in the sand, it’s better to take the numbers for what they are and for MLS and its broadcasters to work harder on improving the numbers for next season.